I had to travel from Sofia to Minsk to be a guest to my beloved girlfriend Svetlana, thus I needed as cheap ticket as possible to reach there. Sofia Minsk is not very common destination especially in Winter, Spring and Summer, because Summer Tourist season is not still opened. I checked for all possibilities to reach the capital of Belarus. Since Bulgaria is in European Union and Belarus is in alliance with Russia and Ukraine. 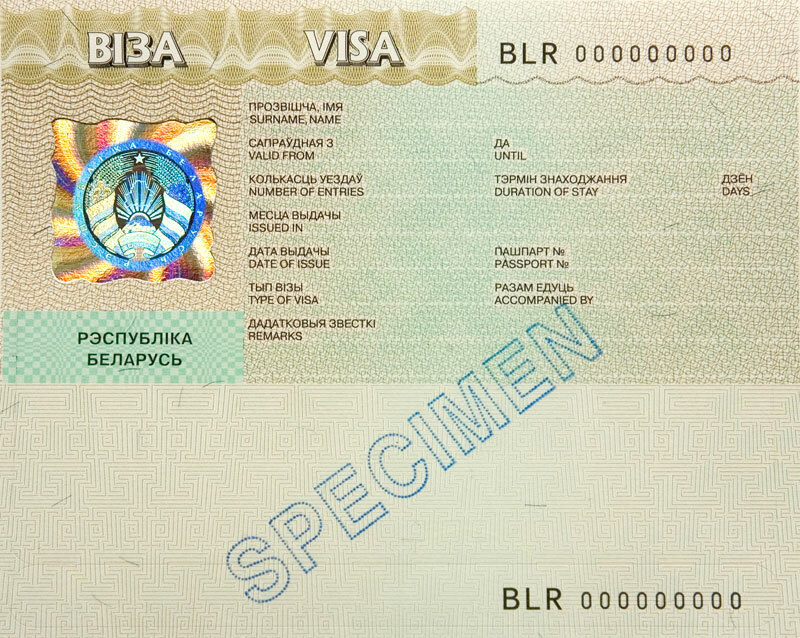 Bulgarian and rest of EU citizens need to issue VISA for Belarus, just like Belarusian citizens needs to have VISA for their summer holidays in Bulgaria. 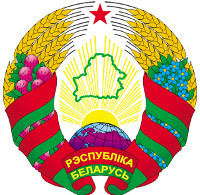 In order to reach Belarus, I first needed ÐŸÑ€Ð¸Ð³Ð»Ð°ÑˆÐµÐ½Ð¸Ðµ / Priglashenie (Invitation) from Belarusian citizen. My beloved girlfriend Svetlana issued one for me and sent it via Belarusian Post Services. In order for VISA to come over post it took about 12 working days. Once I had the Invitation in my hands I had to go to Belarusian Embassy, bring invitation, fill up some documents and pay VISA taxes which as of time of writing this post costs 60 EUR for issuing one person private VISA. To have the VISA issued I had to bring my "Red" International (Foreign) Passport to Belarusian Embassy together with Recent Photos of mine. In Russian Embassy in Bulgaria photo is made and paid directly in Embassy with Belarusian Embassy this is not so, so I had to manually take new photo and bring those photo to embassy, I learned that first time I was in Embassy. Photos had to be in special format (size) a bit different from the standard for accepted for most International VISA photos – at least this is what I was told in Studio where I went to make Photos. 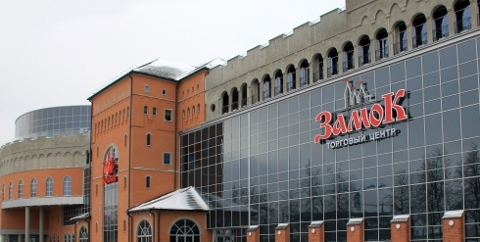 A note to make here is Belarus has only one embassy in Bulgaria located in Sofia and as far as I researched though Russia and Belarus are in union it is not possible to issue Belarusian VISA in Russian Embassy in city of Varna or Plovdiv. Once photos were ready I bring them together with my Passport and had to leave them in Embassy. My visa was issued to be maximum of 90 days but unfortunately I could make it only for 45 days, because my International Passport is expiring in August and there is a rule that you cannot have the VISA issued for date longer than 3 months until Foreign Passport Expires. 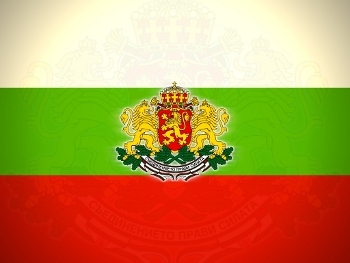 You can find website of Belarusian Embassy in Bulgaria here. 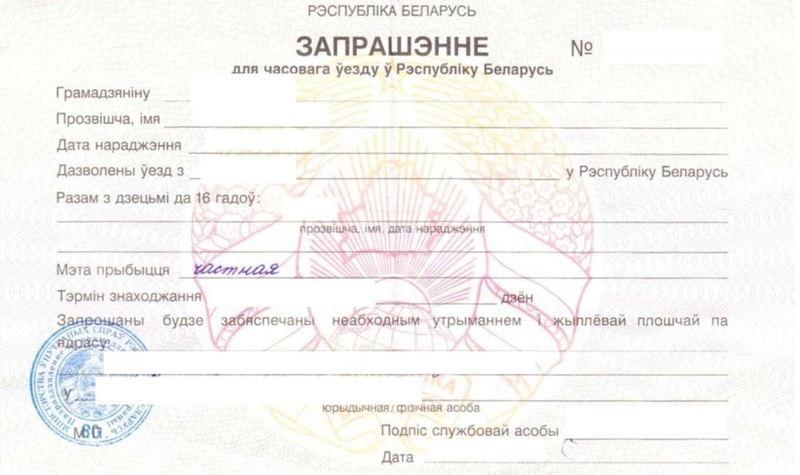 Application form to print and fill in and hand in Belarusian Embassy for request of VISA is here. I had my VISA issued for 45 days starting from 1 of April (as filled in app. form), ending in 15 of May. Once having the VISA, the next question come what will be best way to travel from Bulgaria to Belarus. I did quite a research on this topic until decide with what to travel. There are 3 variants (bus, train or airplane). Distance between Belarus capital Minsk and my hometown Dobrich is only 1508 KM. Sofia is a bit far so distance Between two capitals is 1870 KM. Black Sea Coast -> Minsk operates only in Summer for months . (June – August). Hence the only way to ravel left was by plain. I checked on Plain tickets and some recommendations on cheap ways to travel to from European Union to Belarus. My first idea was to fly from Sofia to Lithuania Capital Vilnius and from there to take bus to Minsk as bus goes to Minsk for 3 hours or so. I checked low cost flights from Wizzair as I always try to fly with them for their cheap prices but unfortunately they don't have destination Sofia -> Vilnius. I checked other companies for same destination and found only tickets from LuftHansa, the ticket however was too expensive and I had to change two airplanes something I very much wanted to avoid, cause I hate so much the airport Laggage checks / Scanning moment. Two way ticket to Vilnius costed about 400 EUR with taxes and included a flight trhrough Vienna airport or through Germany and included few hours waiting on airports which doesn't sound well at all. I checked then the variant to fly to Kiev but again it was very expensive plus Ukraine is not in EU and thus I didn't wanted to risk. Though officially as I've red Bulgarians are permitted to travel and stay in Ukraine without VISA for 90 days period I didn't wanted to try my luck. Other option was to fly from Sofia to Minsk using 1 airplane change in Vienna or Moscow. I contacted airport in Moscow to ask whether I can fly Sofia -> Moscow -> Minsk with my Belarusian Visa but unfortunately to fly through Moscow Scheremetyevo I need a transit VISA which costs some money and moreover Scheremetyevo is enormous airport and I guessed it will be hard for me to orientate there and will bring me too much stress. Third variant which I liked best was to Fly from Sofia -> Warsaw and from there travel by bus to Bus Station Dworec Zahodnyi (West Warsaw Bus Station) and travel with Bus international line Warsaw -> Minsk. I decided to stop on this option and reserved fly ticket Sofia -> Warsaw. Flight date was 20th of Apr 14:40, ticket reserved with Polish Airlines (LOT). 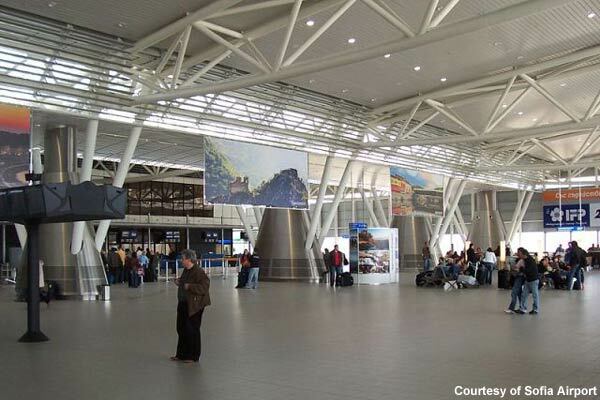 Departure was from Sofia Terminal 2 – in Sofia we have two terminals (The Old one Terminal 1 and new one Terminal 2). 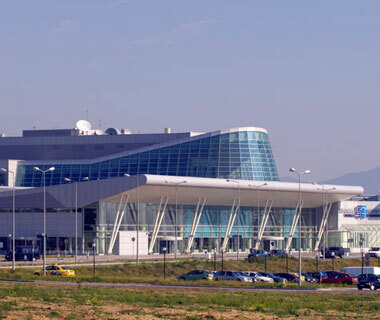 All times I flight so far from Sofia airport was from Terminal 1 so this time it was my first time from the bigger and much newer and modern Terminal 2. My dear friend Mitko (Nomen), leave me by his car to airport and then I checked-in. I could bring up to 20 KG with me, ticket costed 326 EUR because I reserved it a bit late (8 days before flight), moreover Sofia -> Warsaw is not very common flight destination from Bulgaria, as not much of Bulgarian citizens live in Poland. The ticket included also a meal and cold-drinks so this also added a bit to high ticket price. Flight was on a very little airplane and though scheduled for 14:40, flight was late and we were in plain about 14:50 and airplane take off around 15:00. By the way the airplane was the smallest one I ever traveled with so far with, very very small one. I think the pilot was quite professional or the reason was the small plane size but anyways the landing was amazingly smooth. In Warsaw the airport is maybe a bit bigger than Terminal 2 but in general it was easy to orientate take luggage and go out very quickly. The luggage come quite quickly I had to wait for it only few minutes. Then I went directly to bus station and rided on BUS number 175 (there is second possibility to take bus 188) both go to Dworec Centralni Avtogara (Central Bus Station). According to prior instructions I red on the internet it was said to go to bus station Pomnik Lotnika. I tried with this but unfortunately the information to go down on Pomnik Lotnika and took bus 523 is obsolete now. And in order to reach Dw. Zahodny you need to go directly to Dw. Centralni with bus nr. 188 or 175 and then go through a subway on left side and wait on bus station for bus nr. 123 or 125 (not sure the exact nr.). Then Dw. Zahodnyi is only 6 / 7 stops away, I asked some people in English and thanksfully some Polish speak English or at least I can partially understand what they say because their language is close to Russian and Bulgarian. BTW it is very interesting for me as I can understand plenty of what is written on small shops in bus etc. On Dworec Zahodniy Avtogara stop after going down from bus I had to take left direction and in 2 minutes walk it is the West bus Station. There I asked on information if they can give me information whether there is bus Warsaw -> Minsk. The man in kiosk was not speaking English but fortunately he speaks Russian, so I was able to understand I should go out of bus station and stay on the left Pilon waiting for Bus Warsaw -> Minsk. Bus came in 18:30 just like written on the Internet the Bus company was called "Ð’Ð¸Ð·Ð¸Ñ‚Ð¢ÑƒÑ€Ñ / VisitTurs". I had 1 hr and half to wait for it cause was little earlier on Bus Station. 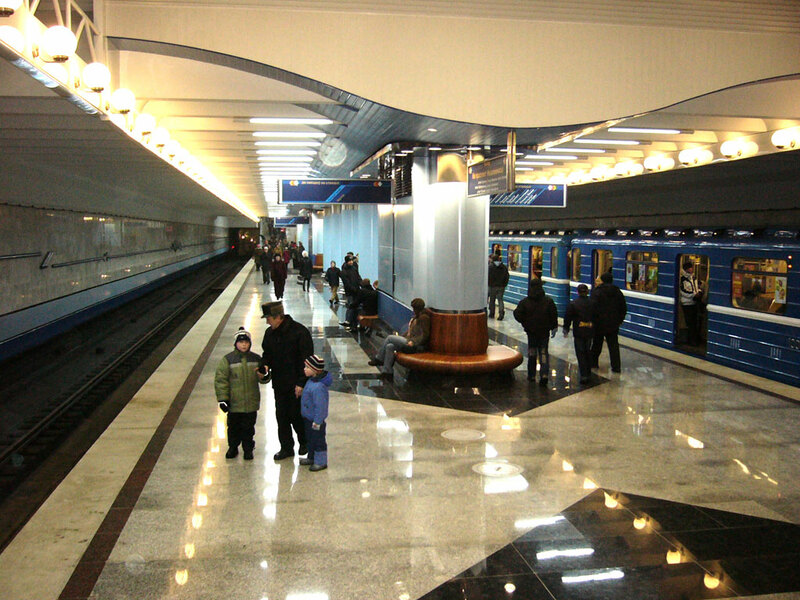 The Platform Nr. Bus stopped is Platform 10. 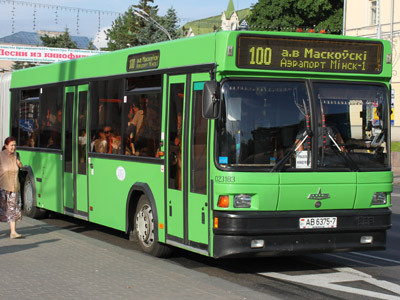 Just for info for otheres who like to catch such bus on the Internet I read there are bus-es traveling to Minsk every Wednesday, Friday, Saturday and Sunday in times varying from 18:30 / 19:00 / and 21:00. While waiting for the bus I meet two ppl from Kazakhstan waiting for another bus for Vilnius and had a good chat with them about situation in Kazakhstan and Bulgaria. I took also a quick meal – from bus station on price even cheaper than Bulgaria (about 2.5 leva – 1.25 euro). In bus all was fine, they took my luggage I placed myself and waited to issue me ticket. I didn't have Zloty (The Polish currency) in me and only euro and at first the bus driver was not happy with that but then he agreed I pay in euro so all went fine. The bus had 2 or 3 quick 15 minutes Rests. Overall travel with Bus from Warsaw Minsk took about 10 hrs, because of some delay and while checking documents on Belarusian Border. As it is normal with crossing Borders by Bus they checked our documents twice once on Polish Border and then on Belarusian one. After crossing Belarusian Border, right after entering the Border Control Police man give me a tiny application form to fill in with information about my stay in Belarus. As well as I had to go to one small kiosk to create Insurance for me (Insurance for month costs 12 EURO). Making the policy took only few minutes, then we had to go down from Bus with our laggage and we waited on a queue with rest of Belarusians to check our documents. This took about 40-50 minutes. Thanksfully all went normal we were back in bus around 3:00 and arrived in Minsk about 07:00. I didn't have Belarusian Rubles (RBL) so I had to change to take a taxi. I asked one person with my bad Belarusian, where from there is a Change Bureau and on my way to it met another Belarusian who was calling for people looking for transportation to some street in Minsk. I spoke a bit with me and offered to change my EURO, changed me 20 euro for 200 000 B. RBL. He was kind enough to call for me a Taxi. He said I should wait for his friend who will bring me to the address I was looking for. I went to a car which was not officially a taxi but just a guy who will bring me to the destionation. In 25 minutes time was to address ul. 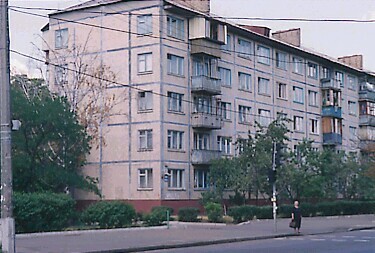 Kalinovskogo, Dom (block) 93, apr. 43. Here in Belarus all was new for me. 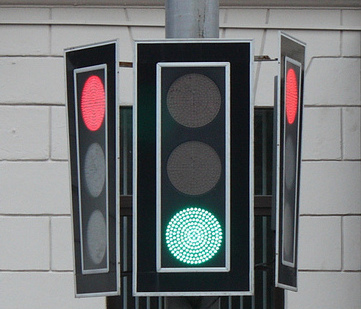 My first impressions were Traffic Lights which were unusually thin if compared to ones we have in Bulgaria and rest of EU. 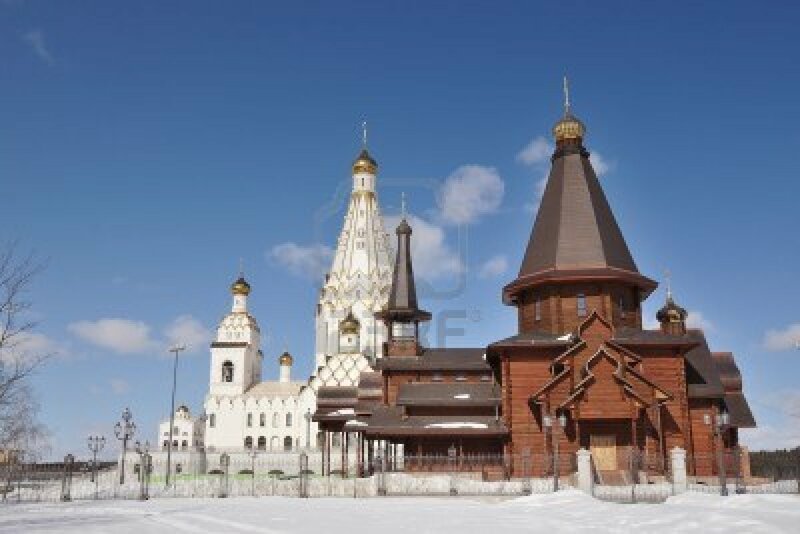 On my way to address I was impressed by a big magnificient Orthodox Church in construction. I was also striked that everywhere all advertisements and everything was in cyrillic. Some in Russian and some in Belarusian Language. Something noticable was also the street was very clean, the construction of most of Buildings were in style of communist countries with (Panel Blocks) just like it used to be in BG when we had communism. Ð¢hough newer constructions looked very modern and very much imitated constructions from Western Europe. Something else noticable is here they continued building using (Block Panels) many buildings as I can see some buildings still in construction. It was clear that the city has good infrastructure (transportation system), much better than one I expected as well the country has a functional economy. Bus-es seem like very much a copy of Bus-es in Holland, actually a lot of the things I saw in Minsk seem like copying Holland and Germany. On my way I saw plenty of University buildings, clear sign that education in Belarus meaning education here is on good high level. 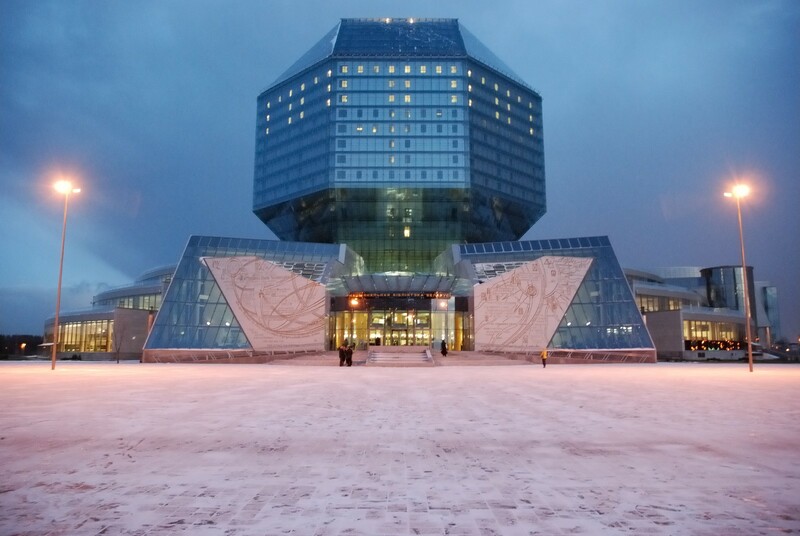 The most impressing building I saw so far is the building of Minsk National Library. Unquestionably this is amazing construction, I had the opportunity on my first day when in Belarus go there and see the old books stored. Amazingly there are books ancient books starting from 10th century onwards. Most of the books were Church books, Ancient Gospels, Faith Codexes plenty of artifacts. There were of coursesome books remains from communism. Something noticable in Minsk is the amount of policy probably in number of times more than in countries in European Union. Since I'm few days already in Belarus I had the chance to see Minsk's Metro which is probably one of city's attractions. In general the Metro was quite cool, there are plenty of communist slogans and statues remains but it looks normal and almost modern. The metro is accessed by using electronic access card similar to old bank (tape cards). Using Metro and bus inside Minsk is very easy. The city is a strange combination of modern culture with communist spirit remains. Though the city is enormous (2 000 000 million population), all seems very relaxed compared to Bulgaria for instance. As far as I interacted with people, I can say people are kind and helpful and very hospitable. A lot of people in Minsk as far as I can see are religious and civilized. Though I've heard people talk about information eclipse in Belarus, I've seen plenty of people who dress very modern like in western countries. I've seen plenty using E-books, Pads and various tech gadgets so it seems technological development of Belarus is on a normal European level. In general what I see here seems much better than what I expected priorly. There is plenty of more things to write which I will probably do in coming days. So far I hope this little article will help someone who needs basic information on traveling from Sofia to Minsk. It is curious that Bulgarian and Belarusian people have common root as Pre-historic Bulgarians used to be one nation with Pre-Historic Belarusian. Similarity is visible even to now as there are plenty of common words matching or very similar between Bulgarian and Belarusian. More over later from 9th to 12th century Bulgariaused to be Empire and spread near to territory of Belarus. Similarity between Bulgarians and Belarusians is also visible even in country flag colors and country names Bul-garia (ar) / Bel-arus (ar). Even on a country flag level we share the same colors (white / green / red) in different order. This entry was posted on Wednesday, April 24th, 2013 at 2:23 pm	and is filed under Business Management, Everyday Life, Various. You can follow any responses to this entry through the RSS 2.0 feed. You can leave a response, or trackback from your own site. Heya, I will bring you one Belarusian beer or better maybe Vodka :)?